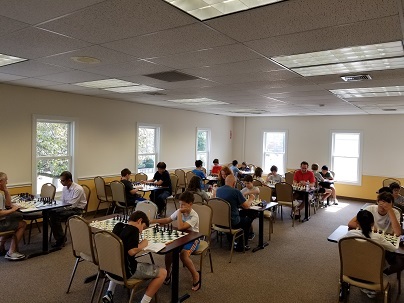 This Saturday’s quads hosted 34 eager players. 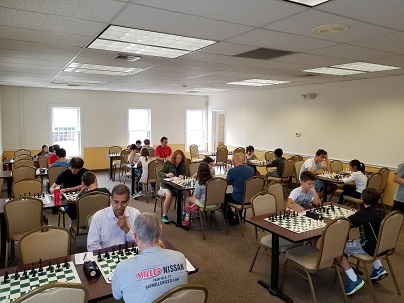 FM Leif Pressman won all of his games and came in first for quad one. 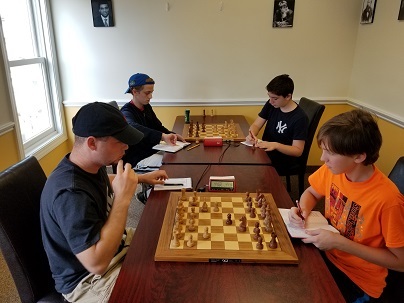 Lee Salzman and Jack Klein tied for first in the second quad; they both won two of their games. In quad three, William Ewald clinched first, with 2.5 points. Thomas Ewald and Nielson Gordon tied for first in the fourth quad. There was another tie in quad five. Tyler Tanaka-Wong and Miles Gillott both won two of their games. Henry Graham played flawlessly, winning all of his games and coming in first for quad six. In the seventh quad, Tim Liu and Annie Ulmer tied for first. 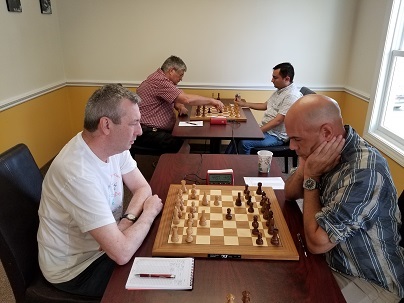 Finally, Tengiz Goletiani, in his first USCF-rated tournament, won all of his games and clinched first in the bottom swiss. Congratulations to all the winners and thank you to all our participants. We hope to see you all again soon!